It has been ages since I did a favorite theme post! This is mostly due to the fact that I don’t have much time for writing blog posts these days, and these favorite theme posts take HOURS. In an effort to cut back on the amount of time this post will take, I’m not going to create a PDF of the books, and I’m probably going to link to less activities. But I promise that everything I post will be great for a dino themed storytime! Best for: Preschool age groups or mixed ages if read at the beginning of storytime. 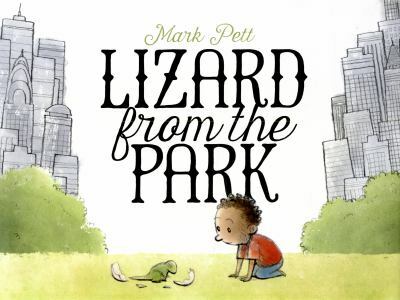 A little boy finds what he believes to be a lizard in the park. However, when the lizard continues to grow to a gigantic size, the boy realizes that it may not be a lizard. He also realizes that his pet needs a bigger home. This is a sweet book about what it means to care for a pet’s well being. Also, the storytime kiddos won’t be fooled; they’ll know it’s a dinosaur. Best for: Preschool age groups or toddler groups with parents who aren’t shy. A little boy pretends to be a dinosaur, then proceeds to tell the dinosaur about all the great things that humans get to do, such as eat a bunch of different foods and play sports. In the end, they decide to be both dino and human. This book has some opportunity for movement and roaring, which preschoolers will do gladly. I’ve found that toddlers only play along when there’s a big sibling or parent stomping and roaring with them. Either way, this book is a hit! 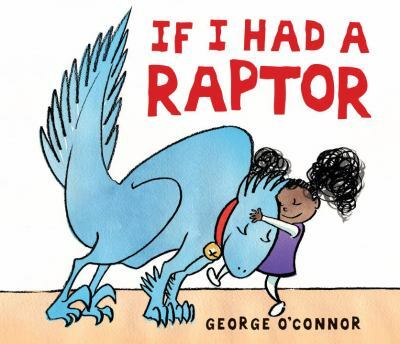 Here’s another book in which a dino poses as a pet. In this one, the raptor clearly resembles a cat, which the kids may or may not pick up on. Nevertheless, kids will love hearing about all the shenanigans this dino gets into! 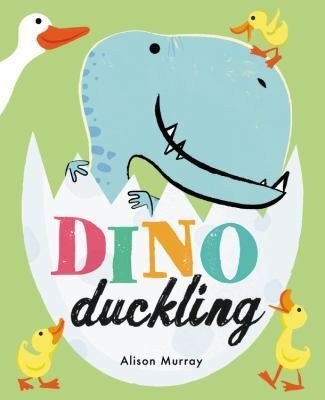 In this adorable story, a dinosaur is adopted into a family of ducks, who love him just as he is. He never feels different…until winter comes and he realizes that he can’t fly south with his family. But never fear! The ducks come back and they all find an alternate route south. This book is just short enough to work with toddlers, but the preschool crowd will love it too! This is a super short and brightly illustrated book that features pull tabs for extra fun. 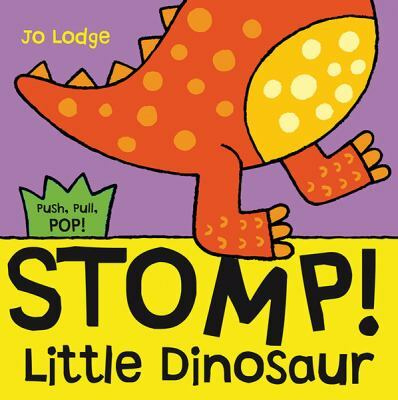 If you have a toddler group, you can add in some movement by having them blink, stomp, and roar along with the book. This book will also work well with a mixed ages group that includes preschoolers; however, since it is so short, I typically don’t share it if the crowd is predominantly preschoolers. 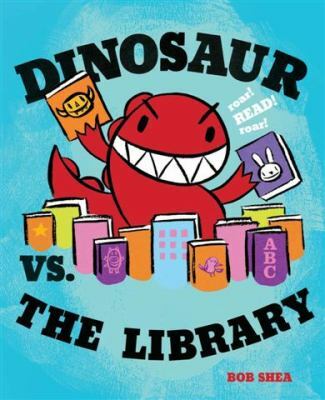 Out of all of the Dinosaur vs. books, this one is my favorite, and it’s the only one I share in storytimes. Kids of all ages love roaring along with dinosaurs, and we also make the other animal sounds too. (My favorite is the sad owl: boo hoo hoo!) Every time I read this, I always have at least one coworker comment on how she/he can hear the roaring at the desk. That’s because the kids get really into this one! This is another dino series in which I pretty much only read the same book over and over (okay, sometimes, I read How Do Dinosaurs Eat Their Food). 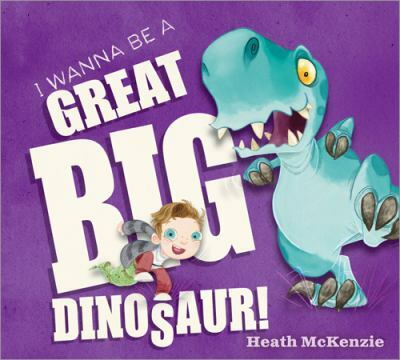 Told in rhyming verse with large dino pictures, this book works well as a calm down or last story. 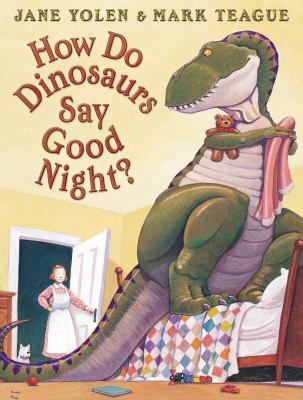 And kids sometimes like to say “no” when I asked about the various ways dinosaurs may or may not go to sleep. Click on the photos below to be taken to the PDF of the flannelboard templates. The first one is One Dinosaur Went Out to Play by Mel’s Desk, and the other is a baby dinosaur template that is a total rip-off of the baby duck flannelboard by Miss Mary Liberry. SLC Book Boy has a great flannelboard that goes along with the book, Dini Dinosaur. Speaking of flannelboard stories, Miss Jaime’s Library Journeys has a cute Dotty the Dinosaur story/rhyme! The queen of all things flannel, Storytime Katie, has some great dino/dragon finger puppets to be used with a revised Two Little Blackbirds rhymes. Miss Mary Liberry has a super fun song, The T-Rex Goes Grr, Grr, Grr. Story Time Secrets shares a Five Enormous Dinosaurs rhyme (I love the word “enormous!” Vocabulary FTW!). Looking to incorporate more math into your dino storytime? This clip and count stegosaurus activity (you’ll have to scroll down a bit) is great! Every Star is Different has a lot of dino activities, but I especially love the dino shapes one! Got a wiggly crowd? This dinosaur movement game is sure to get the wiggles out! Last, but definitely not least, this dino matching puzzle activity is a great way for storytime kids to put their thinking skills to the test. Okay, I know that it’s not fall right now, but I’ve had this favorite theme entry half planned since September. Why didn’t I post it then? Well, I didn’t have the books PDF ready. When I type up the book summaries, I like to have the books on hand so that I can refresh my memory about why I like them. Sadly, by September, most of our pumpkin books were checked out. 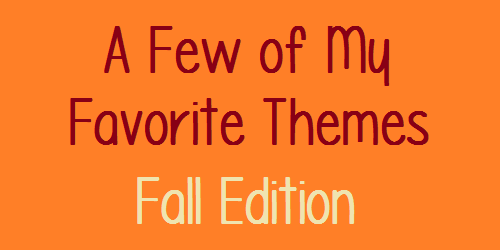 So expect some more fall themes to be posted in winter, and winter themes and spring, and so on and so forth. Here are two flannelboard templates that you can use with a pumpkin theme! The first one is the infamous Five Little Pumpkins rhyme from DLTK. The second one is a fall set from the talented Melissa Depper. Mel gives great ideas for what to do with this set! Click on the images below to be taken to the websites with the templates. What I love most about Boy Mama Teacher Mama’s Pumpkin, Pumpkin: Stick and Rhyme is that it can be a craft that you do with your group after storytime. Or you can make the props ahead of time and hand them out to the group during storytime so that you can all do the rhyme together again and again! For this Pumpkin Number Matching Activity, I would have ten plates up at the front, and I would hand out numbered clothespins to the children. I would then call out, “Who has the number 1? Find the number 1 pumpkin”. And I would continue on until all the kids had a chance to come up and clip their clothespins on the pumpkins. What’s great about this is that it’s simple to put together, and you can have multiple clothespins for each pumpkin. Activity credit goes to Coffee Cups and Crayons. I love cut and tell stories, and this Surprise Pumpkin story from Not Just Cute is a great addition to any pumpkin storytime! Can’t take your storytime to a pumpkin patch? Teach Preschool has got you covered by this awesome Pumpkin Patch Scavenger Hunt activity that you can do in your own storytime room/library! I love this Five Giant Pumpkins rhyme and flannelboard from Read Rabbit Read! Miss Courtney Meets Bobo’s take on Go Away Big Green Monster is so clever! I’ll definitely be doing Go Away Big Orange Monster next fall! For more pumpkin flannelboards, be sure to visit the Flannel Friday Fall Board on Pinterest! Speaking of Pinterest, if you need some more pumpkin craft ideas, here’s a whole board full of them! Fall themes are my absolute favorite themes, so I’m hoping I can post a couple of these within the coming months. However, seeing as I have little to no time to work on blog stuff at work (and my life outside of work is pretty busy too), I honestly think that I’ll be lucky to post more than 1 favorite theme this season. But we’ll see… Maybe the stars will align or something. I’m also changing up how I do favorite themes. I’ll still post a PDF of my favorite books like usual, but I’ll also be posting PDFs of any flannelboard templates I make. As for crafts, STEM, and other storytime activities (including rhymes), I’ll be providing links to those at the end of the post. I want to be sure to credit others, and I think providing links is the best way to do that. Click the images to be taken to the PDFs of the flannelboard templates. The first image is for the flannelboard rhyme, “Five Little Apples” (Credit). The second image is for the “A-P-P-L-E” flannelboard song (Credit). The second image will take you to a previous post of mine — scroll down to the bottom of the page to find the PDFs of the apple images. To make the flannelboard, print out the apple images, tape or glue them to construction paper, and then tape or glue the letters to the other side. Everyone knows that worms like to live in apples, so introducing an activity that focuses on worms can add a nice variety to your storytime. This Wiggle Worms game by Little Family Fun is one of my favorite activities to do in storytime! It works well with almost any age group, and it’s a good way to change up your regular storytime. If you don’t mind a little mess in your storytimes, try this super cute Apple Prints craft from Make and Takes. While they used Popsicle sticks as handles for the apples, you can also use those nifty corn on the cob holders too. Or do without handles and let the kids pick the apples up and stamp away. Want a cute apple craft, but not a big mess? I don’t blame you! This Tissue Paper Apple Craft from Storytime Katie is super cute and doesn’t require any paint! You can’t have an apple storytime without talking about apple picking! This Apple Picking/Finding Game from So Tomorrow is not only a great way for kids to stretch their legs and get their wiggles out, but it also gives the storyteller a breather. This Picking Up the Fruits rhyme from What Happens In Storytime is a great sorting activity! If you want to keep it limited to apples only, you can change it to picking up red apples, green apples, yellow apples, etc. A storytime roundup would not be complete without a five little whats-its rhyme. My favorite is Five Apples in a Basket by Future Librarian Superhero. Like to use props in storytime? 1234 More Storytimes has a great prop to use for the 2 Red Apples rhyme. And, just in case you missed them, here are the rhymes for the flannelboard templates from above: Busy Crafting Mommy’s Five Little Apples rhyme (there are many great versions of this rhyme which are linked in her post). And A-P-P-L-E by RovingFiddlehead Kidlit. A Few of My Favorite Themes: Gardens! I know I promised a Polar Animals Favorite Theme awhile ago but…I’m kind of sick of winter! I don’t know about the rest of you, but my home in Indiana was pretty much buried under snow from January until…well, there’s still snow on the ground, but at least we can see a few patches of grass poking through! All the snow coupled with near constant below freezing temps made me wish I was a hibernating bear this winter. Unfortunately, I’m not a hibernating bear, so I had to deal with all this snow and cold, and now I’m sick of it. I’m ready for spring! So here’s my first spring Favorite Theme: Gardens! As usual, click the images below to open up downloadable PDFs. I have a confession: Valentine’s Day is one of my favorite holidays. By the time the middle of February rolls around, I’m usually sick and tired of the dreary winter. So a day that celebrates pink and red, that involves candy, and that centers around appreciating the people you love is just what I need to get through those last few weeks of winter. So, I admit it, whenever the second week of February rolls around, I dedicate a storytime theme to all things hugs and kisses and hearts and candy. And if you love Valentine’s Day too, then you’ll really like this week’s Favorite Theme! I’m very happy to announce that my last Favorite Themes post has gotten a lot of positive response! I’m glad that people are finding this blog series to be helpful! It definitely gives me the drive to continue it. So continue, I shall! 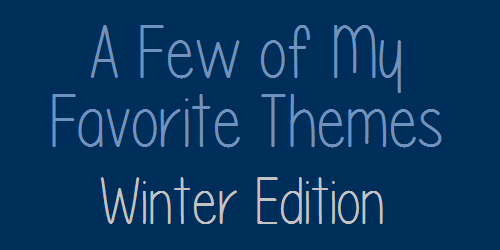 January’s second Favorite Theme focuses on Animals in Winter. Now, when I say animals in winter, I mean forest animals, not the polar kind (don’t worry, polar animals are coming). This one was a little bit tricky because I wanted to have a variety of animals represented and not just bears galore. There’s still a healthy amount of bears in this theme, but I think I’ve managed to find some stories and activities that focus on other forest animals as well. Today I’m very excited to announce a new series coming to this blog! In order to make up for the fact that I won’t be posting as many storytime plans as I used to, and because I enjoy creating stuff, I’m starting a blog series that focuses on my favorite storytime themes (and my favorite books/rhymes/activities to do for those themes). 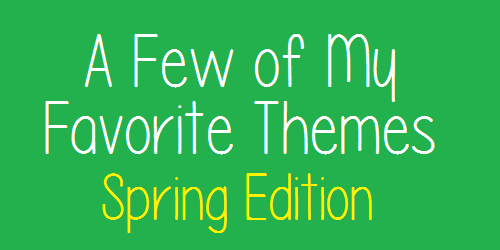 For most of the year, these themes will be grouped under seasonal headings. For example, in January and February, I’ll be posting themes that are great to do in the winter. March will start the spring themes, etc. At the end of the year, I hope to post themes that aren’t season specific. Each theme will be uploaded as PDFs that can be downloaded, saved, printed, and shared. It is my hope that I’ll be able to post 4 themes per season, 2 for each month (with a hiatus in July and August for reasons you all understand). However, seeing as I’m doing this on my own time, it’s very likely that I may not be able to stick to that goal. We’ll see. So, without further ado, here’s the first winter theme: Snow/Snowmen! (Which is appropriate because we’re currently getting bombarded with snow.) Click on the images below to download the PDF.